In 1958, the U.S. was reeling from the embarrassment of the Soviet Union beating us into space with Sputnik. This country had no formal manned space program at the time. The Air Force had several studies under way, including the DynaSoar project (a Model T predecessor of the shuttle), and the then National Advisory Committee on Aeronautics (NACA) had several studies under way. But President Dwight Eisenhower was not a believer in such “science fiction,” and was dragged into orbiting a satellite only as our contribution to the International Geophysical Year. Sputnik had already changed a lot of minds. In 1958, a bill introduced by Senator Lyndon Johnson proposed that NACA be expanded and become the National Aeronautics and Space Administration. It was passed and Eisenhower signed it into law. The Soviets continued to orbit ever heavier satellites, including one carrying a dog. The U.S. knew they would soon have the capability to put a man into space. We were in a space race. 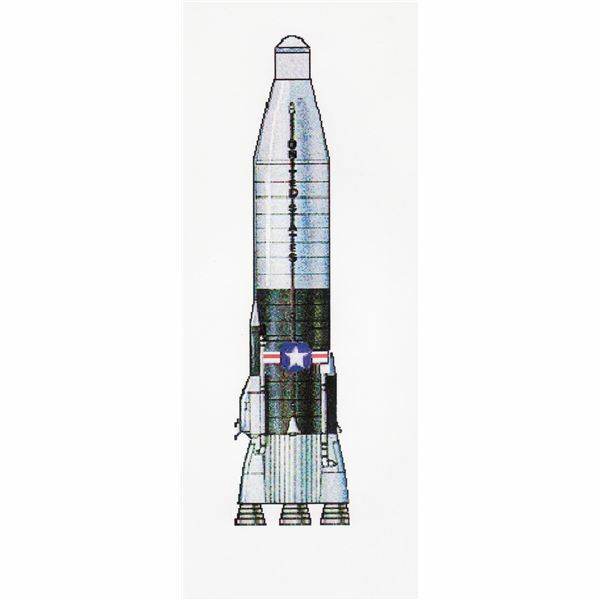 NASA was given the job of developing our manned spacecraft and choosing its launch vehicle. Atlas and the Titan. The Titan was a newer vehicle and there was not that much experience with it. 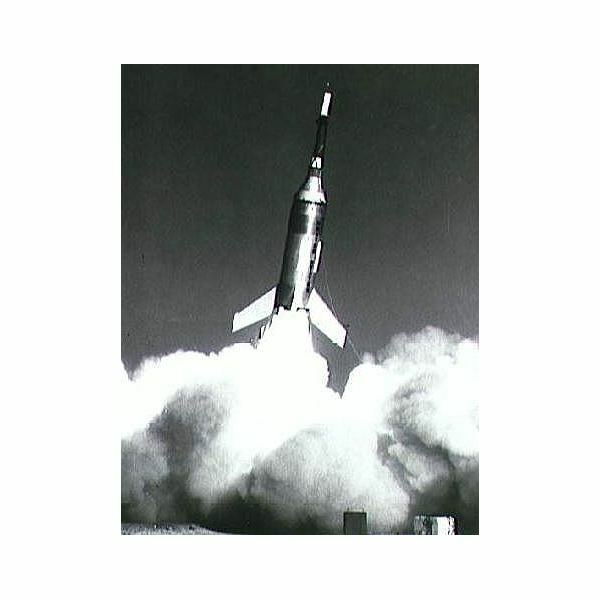 NASA chose the venerable Atlas, our first ICBM, and one that had a high degree of reliability. There was one other plus for the vehicle. The Atlas was a 1-1/2 stage vehicle. Its three engines, producing a total 367,000 lbs of thrust, all lit at lift off. There was no concern about second stage ignition. But to dip our toes into the new ocean and test the waters, NASA decided on a quick jaunt into space and back to Earth with a suborbital flight that would give the pilots about 5 minutes of weightlessness. 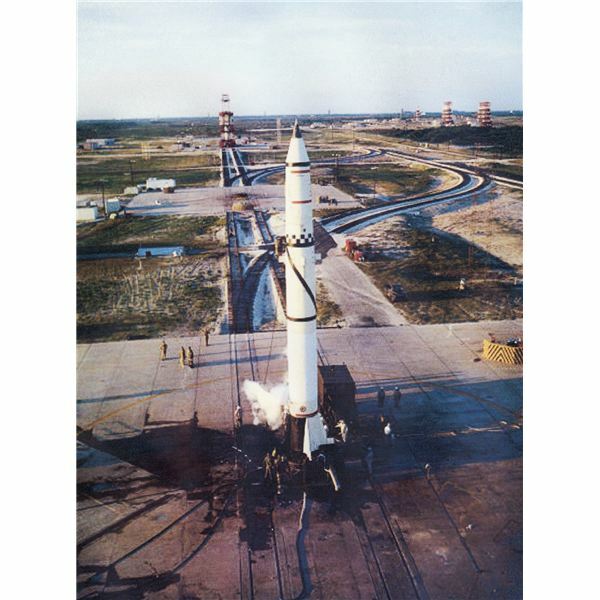 For these missions, NASA chose probably the most reliable missle in the arsenal–the Army's Redstone, designed by the Werner Von Braun team at Redstone Arsenal in Huntsville, AL. Now engineers had to develop the actual spacecraft, and man-rate the Redstone and Atlas. And NASA had to find some pilots brave enough–or crazy enough–to fly in the thing. 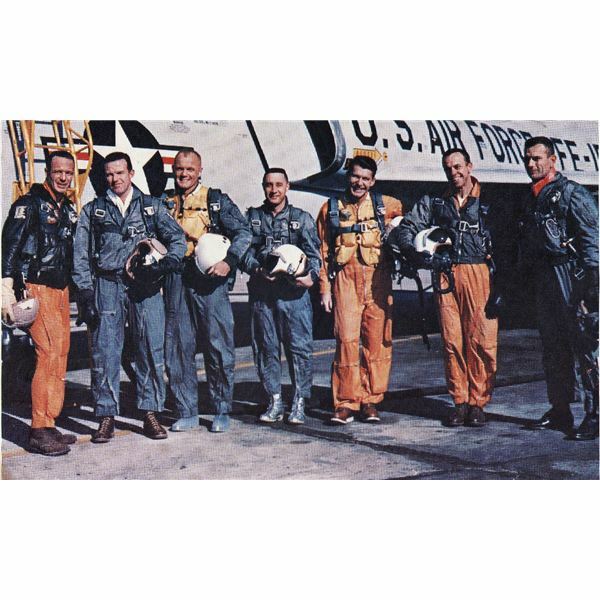 It was not a tough decision for NASA officials to decide to use military test pilots for the first men in space. These men were skilled at evaluating new craft, and assessing unique situations, something they certainly would find themselves in in space. NASA combed through a list of 160 pilots nominated by the services, and chose 36. These were subjected to a battery of severe physical, medical and psychological tests the likes of which these test pilots considered worse than any combat or test situation they had ever encountered. They represented each aviation service—Air Force, Navy, Marines. As to what to call them, NASA went to history. The early pioneers of ballooning had been called ‘aeronauts.’ Why should the early pioneers of spaceflight not be called Astronauts? So the seven test pilots became the Mercury Astronauts. Designing a spacecraft from scratch was not an easy task. The basic shape—the truncated cone—was already decided upon, but there were many other factors up in the air. For one…the heatshield. Should it be a solid heat sink like the current ICBM reentry vehicles, or an ablating heat shield, that is, one that the material turns from solid to gas under extreme heat, and carries the heat away from the capsule? There were proponents for both, and not a lot of give on either side. Eventually the ablating shield won out, especially when, in a test, the heat sink was detached from the capsule and fluttered down like a leaf, actually coming back to hit the capsule. Less contentious was the escape system for emergencies to take the space craft away from the booster in a catastrophic failure. There was no argument, this was required. Two types of systems were proposed. One used solid rockets at the back of the capsule to push it away from the booster. The other used solids on a tower at the front of the capsule to pull the craft away from a distressed booster. The latter offered clear advantages. It did not impact the booster, and was simpler to eject once the capsule was on orbital insertion mode. But the most contentious factor was the role of the pilots. Engineers had designed the Mercury to be totally automatic. The pilots would merely be passengers. When the seven astronauts toured the factory and were briefed on the design and their role, they, to a man, balked. They were pilots. They intended to fly this thing. Fortunately, there were a few engineers who agreed with them, and saw man as an integral part of the package. And to everyone’s surprise, the psychiatrists and psychologists evaluating the astronauts agreed. Man could, and had to be, in control of the craft. The engineers went back to the drawing boards in a hurry. They designed two astronaut controlled systems—a fully manual system and a ‘fly-by-wire system’. Fly-by-wire sends commands to a computer that then controls the reaction control jets. A ‘joy stick’ controller was designed, so the astronaut could exercise control with one hand, even under the rigors of reentry. The Astronauts decided to give names to their individual spacecraft, and to commemorate the seven of them, put '7' in the names. 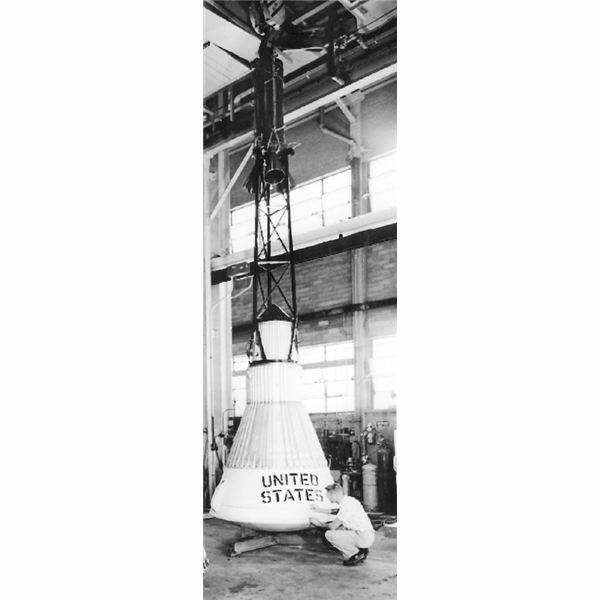 Meanwhile, the escape and recovery systems were being tested at Langley Research Center’s Wallops Island launch facility on a solid booster called Little Joe. Almost as a warning of things to come, the first Little Joe flight was a pad disaster. Thirty minutes before launch time, the escape tower motors suddenly ignited and took to the sky. Subsequent Little Joe flights were more successful, proving the efficacy of the escape and recovery systems. It was now on to the real thing.